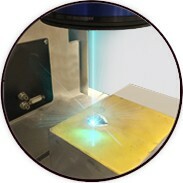 The locket measures 5/8 inch across and over 3/4 inch long(not including the bale). 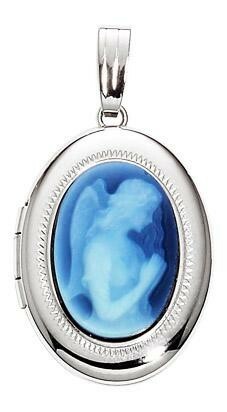 The lockets front side has a beautiful angel silhouette in a blue agate, trimmed with a high polish white gold finished.This locket includes an 18 Inch white gold chain. The locket measures 5/8 inch across and over 3/4 inch long(not including the bale). 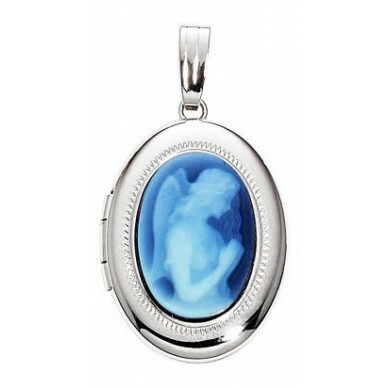 The lockets front side has a beautiful angel silhouette in a blue agate, trimmed with a high polish white gold finished.